Dad revered Armstrong. Though my taste strongly parallels his, I never really took a liking for Armstrong. 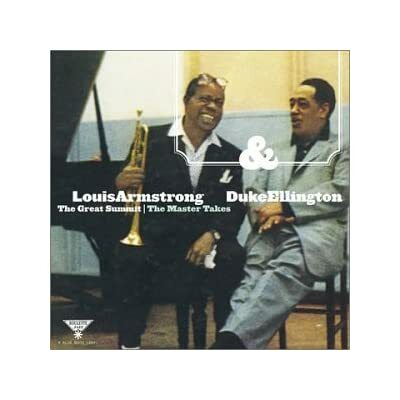 To me Louis represented all that was too rustic and archaic in Jazz…barring a few outstanding exceptions. Today I can finally see why Armstrong was Armstrong. The Great Summit | The Master Takes is the coming together of two of the greatest stalwarts of Jazz…and do they jell! This is one album that changed my long-held but flawed opinion of Armstrong. 2 days & 12 photo albums!